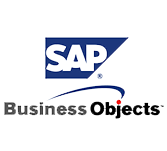 SAP BusinessObjects (BO) is an important application comes under SAP Business Intelligence (BI ).This tutorial explains about the basic concepts of Business objects. This tutorial is developed for the learners who wish to seek the basics of SAP business objects and implement it to analyze data with the help of BO. To learn this tutorial one must be familiar with the required skills to learn this module and analyze it in order to create professional reports. How Do You Use Designer To Create Universes? Who Is The Universe Designer? What Is A Join Path Problem?